Cleaning is one of my favorite pastimes, simply because I love creating my own cleaning products. The one area of the house that I like to spend the longest time cleaning is the bathroom, as that’s where most germs lurk. Around the toilet and under the seat, there can be billions of bacteria at one time - not a nice thought, I know. That’s why, as well as regularly cleaning my bathroom, once a month or so, I like to do a deep clean. Fill a sandwich bag with white vinegar, submerge the head of the shower in it, and use a rubber band to keep the bag in place. This should be left on for at least two hours, before being removed. Once you have removed the bag of white vinegar, turn the shower on and run it. If you have a shower curtain, pop it into the washing machine with a couple of old towels. These towels will act as exfoliators, removing any soap scum or mildew from it. Wash at 30 degrees or below, add a splash or detergent - if the curtain is white, add some stain remover as well. If you have a shower door, mix baking powder with white vinegar to create a paste. Put this paste on the glass and metal, and leave it for an hour, then use a cloth to scrub the paste. Once you have done this, wash the paste off, and buff the glass dry. To give your bathtub a good clean, fill it with hot water and add detergent. Leave the water in for 15 minutes, and then drain and give the bath a good scrub. When it comes to cleaning your tile grout, a steam cleaner is an absolute must. The best thing about this is the fact that all it uses is boiling water so that you can clean without the use of chemicals. Ideally, you need a steam mop with a nozzle that creates a high concentration of steam. Even if the grout doesn’t look dirty or discolored, it’s still important to clean it, as it can harbour millions of bacteria. If you don’t have a steam mop, dipping a grout brush or old toothbrush in bleach can work nearly as well. Just like you have your boiler serviced regularly, you should also be having your sewer drain cleaned and checked. If you don’t, it can end up getting clogged up, causing your toilet to stop working, or worse, sewage to leak out. Sewer drain cleaning doesn’t have to be expensive. The sooner you have your drains checked and cleaned, the less expensive the process will be. 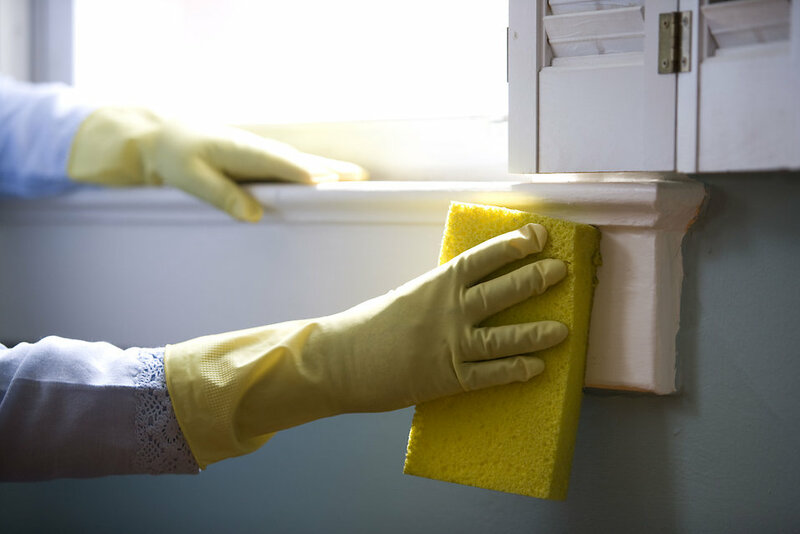 It might not seem like a regular part of deep cleaning, but a clean bathroom should be clean on the inside, as well as the outside. Of all the places in the bathroom, the toilet is the worst for harbouring germs. Start off by wiping the exterior of the toilet with antiseptic bathroom wipes - don’t use a sponge as this can carry millions of germs. Wipes are ideal as once you have used them; you can dispose of them. Once you have wiped every external surface, tip a cup of baking powder into the toilet bowl. Leave it for 10 minutes, then use your toilet brush to get the inside of the bowl a clean, and then flush. After you have finished with the toilet brush, spray it with antiseptic spray, before putting it back in its holder. To perfect the art of deep cleaning your bathroom, follow the tips, above.